Returning to Kuching felt strange, a bit of reverse culture shock (though truthfully we had not been gone that long). We were also reunited with the other two groups who had gone to different villages (and the facilitator team was also reunited, to much rejoicing). To unwind everyone took a full day off before settling in to develop the designs. While there were many choices for the free activity day, I really think there were only two: Go see the orangutans, or the wrong choice. 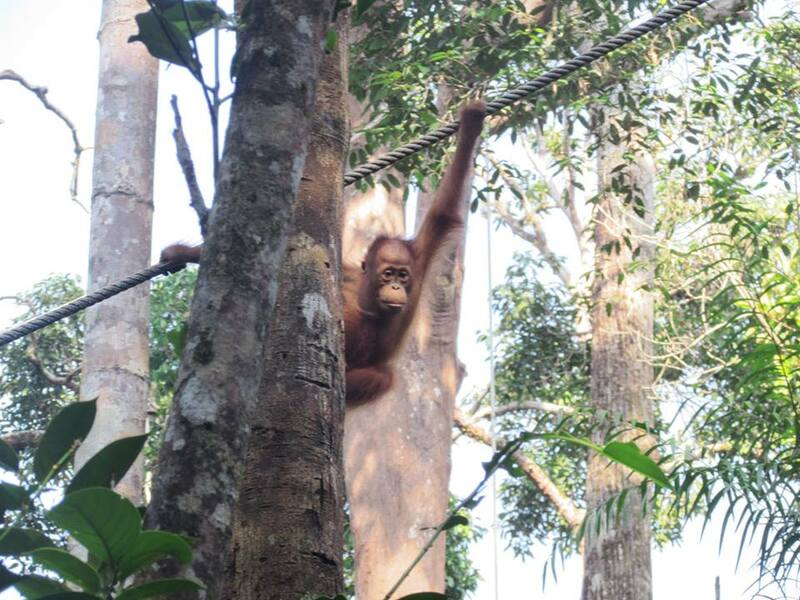 The orangutans pictured are essentially still wild, but within a very large sanctuary. 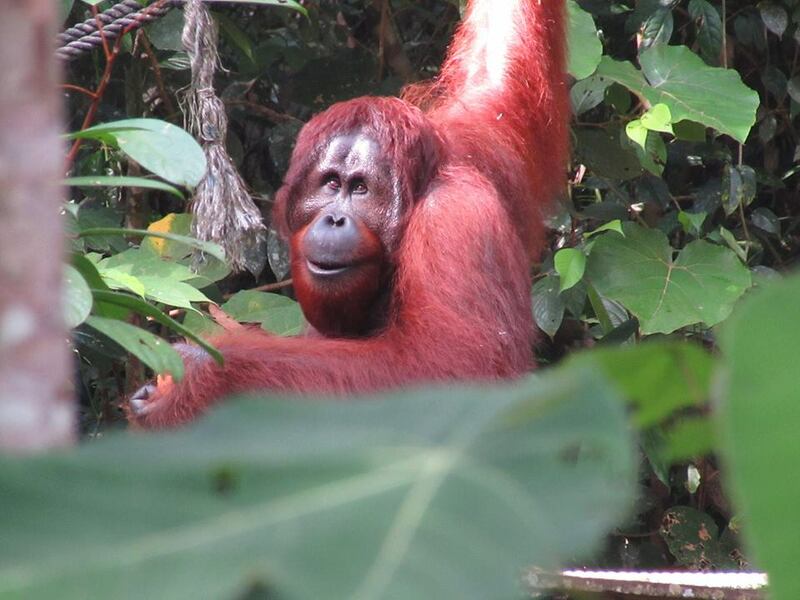 They are of course a highly endangered species; large parts of Borneo are being cleared for palm oil. With a day of rest behind us, it was time to go back to work. The next two days were spent with the students doing bench-top research to support the ideas they had developed in-community. During this time, mentors acted mostly as sounding boards for ideas, offering guidance on design principles, engineering specifics, etc. 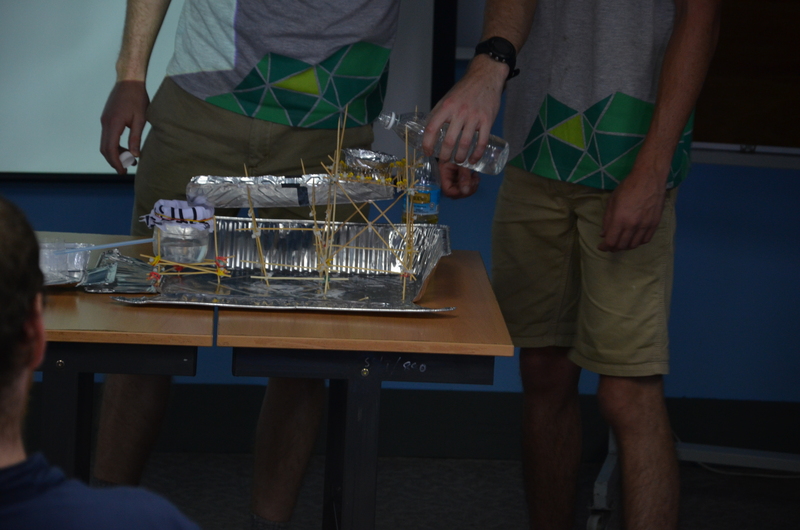 All the student groups performed admirably, coming up with some really ingenious designs. 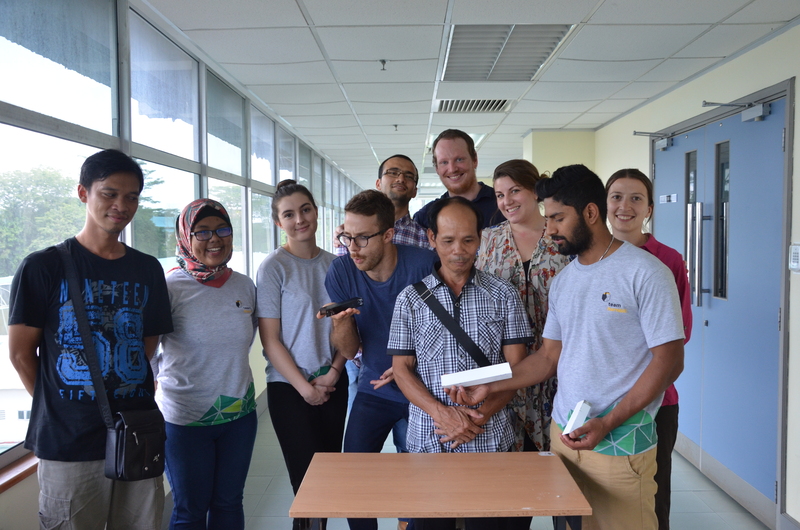 After two days of design work, representatives from each of the villages travelled to Kuching to see the proposals, and decide if they had any interest in implementing them. From our own group, three excellent designs emerged. Pictured first, the landslide team built a diorama of a proposed terrace-farm implementation as a way to stabilize steep terrain. This was based on their research on existing implementations in other countries. Though terrace-farming is widespread, it is not a familiar technology in the Kampung Kiding region. The team is pictured here with the village chief and one of our guides. The team who had decided to focus on temperature control within the houses, after discarding many complex proposals involving the construction of sunshades, or insulation from local materials, settled on something much simpler: painting the roof white. To demonstrate the efficacy of this, they painted two pieces of aluminium, one white, one black, then set them an equal distance in front of the lamp from an overhead projector. The difference was startling, even to those familiar with the science – the white piece felt comfortably warm, the black was too hot to touch. They provided information about the cost of paint from local suppliers, and expected roof coverage per tin. Enough paint to do a test on the chief’s house was well within the available budget. 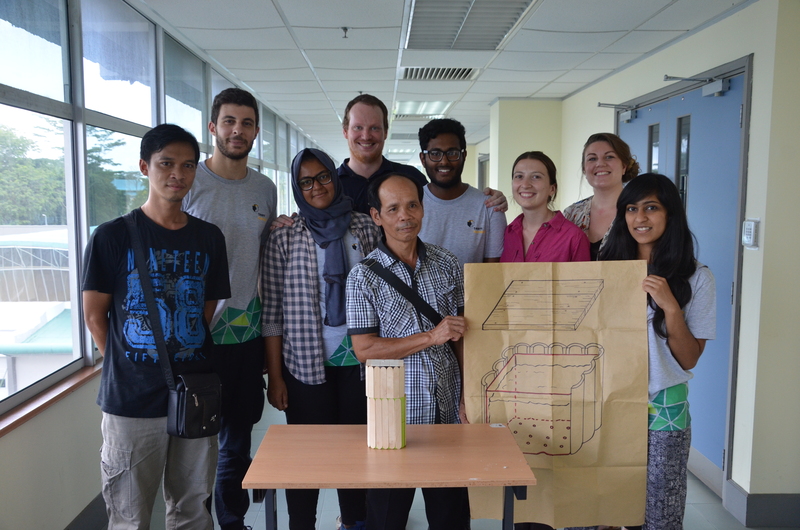 Lastly the group who focused on waste management produced a design for a composting bin made out of local materials, along with a set of information about its operation – including troubleshooting tips, and dos and don’ts. All three concepts had been developed after extensive consultation with the residents of the village, and the chief expressed his enthusiasm for trialling all three. Whether they are put into practice remains to be seen. The night after the presentations we had a farewell dinner, and the following morning we all dispersed in separate directions. Working with Joli and Vivian was a real privilege, and I learned a great deal from both of them. 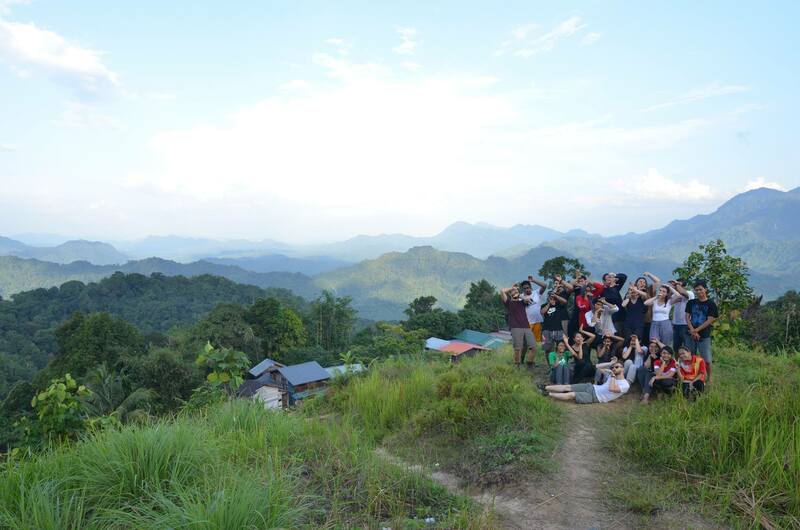 We had a fantastic group of students in Team Hornbill, from an incredibly diverse range of backgrounds and life experiences. I gained a great deal of knowledge about humanitarian engineering practice, which I continue to develop through my supervision of final year projects in conjunction with Dr. Nick Brown at Engineers Without Borders. I highly recommend the Design Summit Mentoring program to any academics or professional engineers with an interest in the field. Go in with an open mind; EWB does things quite differently to other groups you are likely to have worked with, but they have a proven track record to back up their methods. 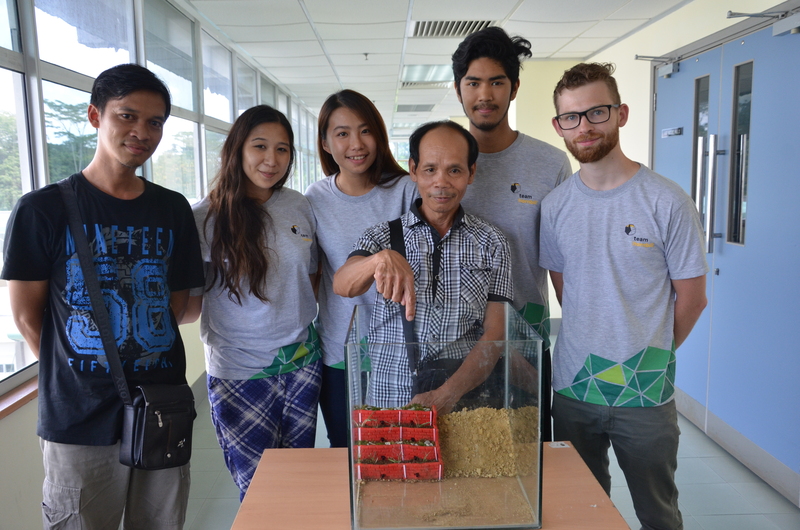 From Kuching, I flew to Timor-Leste, via Darwin, to undertake a humanitarian engineering project of my own.